In order to keep pace with the never ending demands of customers, we are involved into offering wide range of Premium Disposable Non Woven Bed Sheets. Extensively used in hospitals and nursing homes, our Disposable Non Woven Bed Sheet is accessible in various designs and sizes to choose from. We make sure to deliver the offered range at clients doorsteps within the given period of time. Enclosed pictures are for representation purpose only & vary from original products. These products are not intended to diagnose, treat, cure or prevent any disease, illness or pain,in compliance with application laws. 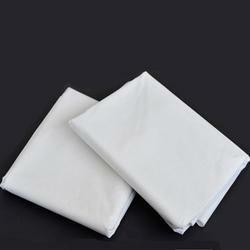 Looking for Premium Disposable Non Woven Bed Sheets ?